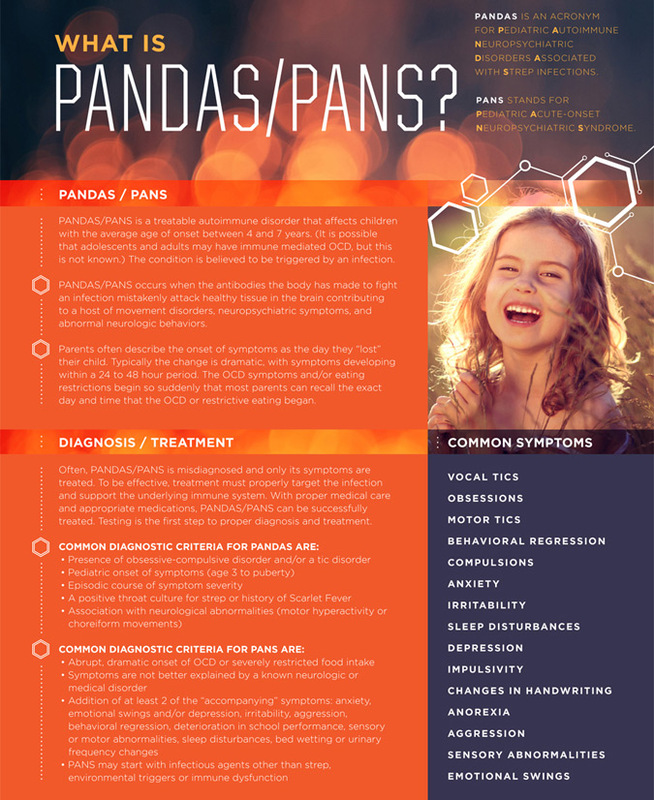 Moleculera Labs has produced this animated video which describes how the Cunningham Panel™ test can assist physicians in diagnosing PANDAS, Pediatric Autoimmune Neuropsychiatric Disorder Associated with Strep infections and PANS, Pediatric Acute-onset Neuropsychiatric Syndrome. 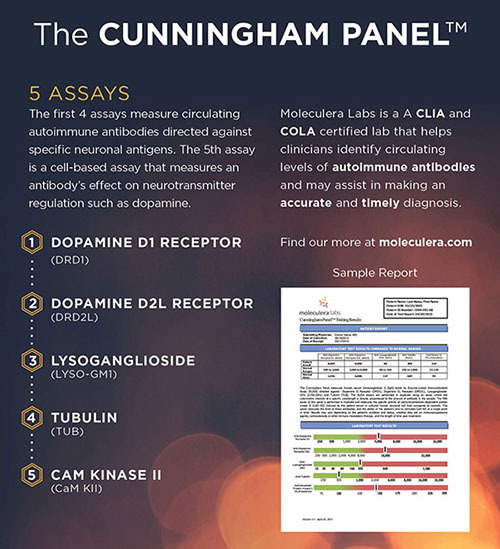 These autoimmune conditions are triggered when a susceptible child is exposed to an infectious agent. The body will produce antibodies to fight not only the foreign agent but the child’s own healthy tissues, as well. This, in turn, leads to inflammation in a portion of the brain and the sudden onset of certain neuropsychiatric behaviors, such as OCD-like rituals, tics, restrictive eating and a host of other neurological and psychiatric symptoms.